Men's Basketball: Should Chris Collins play his best lineups or give more playing time to the young guys? Men’s Basketball: Should Chris Collins play his best lineups or give more playing time to the young guys? Scottie Lindsey searches around the key. The guard has been gaining minutes in recent contests, but some of his fellow freshmen contribute infrequently. Bobby Pillote: There’s no tanking in college basketball. Coach Chris Collins has a roster still populated with competent veterans, and he should be giving all of them playing time commensurate to their skill levels. It may be a rebuilding season for Northwestern, but that doesn’t mean each game should be treated as a lost cause. Junior guard Tre Demps, often criticized for his poor shot selection and over-dribbling, remains the Wildcats’ top scorer and one of just two players who can consistently create his own shot. For each poor performance, Demps also has a night like he did in NU’s last game against Michigan State, putting up 20 points on 8-of-12 shooting. Alex Olah is the starting big man by default, but the junior center is a defensive asset and ranks fourth in the Big Ten in blocks with 1.7 per game and 13th in rebounds with 6.2 per game. The Cats would also be completely lost on offense without his incessant screening. Meanwhile, less heralded senior guards Dave Sobolewski and JerShon Cobb have both made valuable contributions this season. Sobolewski has regained his touch from the perimeter and is shooting 38 percent from beyond the arc. He has also found a role playing alongside freshman guard Bryant McIntosh when the team needs extra ball handling on the floor. Cobb has been limited by a foot injury all season long but has persevered to start 14 games and remains a valuable spot-up shooter and defender when active, averaging 5.8 points and 3.2 rebounds per game. The freshmen are undoubtedly the future of Collins’ team, but the coach needs to field a competitive roster in the present. Continue playing these upperclassmen now, and let the freshmen earn their spots in the rotation. 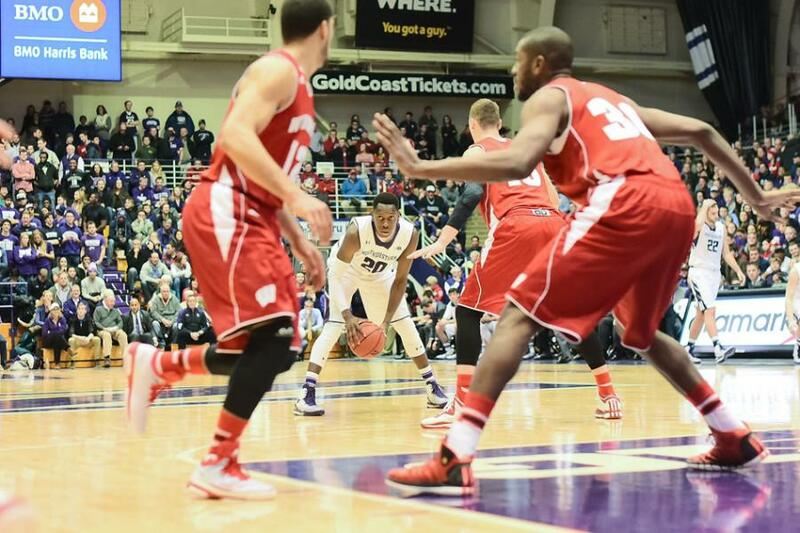 Alex Putterman: At this point, winning games has absolutely no value to NU. If the Cats go winless over their final seven regular-season contests, they’ll watch the postseason from home. If they go 5-2 in that stretch, they’ll still watch the postseason from home, barring a Big Ten Tournament miracle. Whatever vague value exists in “learning how to win” and “finding out what it takes” is more than canceled out by the potential experience NU youngsters can gain over the final month of the season. The Cats’ quintet of freshmen will all play bigger roles next year, and though McIntosh already contributes a full workload, the other four could benefit from more playing time. No one is suggesting the freshmen all play 30 minutes a game while the upperclassmen are vanquished to the bench, but Collins should lean a little more heavily on the young guys. Sobolewski has played nearly four times the minutes of freshman point guard Johnnie Vassar, even though Sobolewski will be gone in a month while Vassar sticks around afterward for three more years. Cobb deserves a dignified exit, but some of his playing time should be (and has been) shifted toward freshman Scottie Lindsey. Same for senior Jeremiah Kreisberg and freshman Gavin Skelly, who have played roughly equal minutes on the season. For every minute Vassar, Lindsey, Skelly and freshman forward Vic Law spend on the court, they’re learning the nuances of the college game against Big Ten competition. Whether the Cats win a lot of games this season won’t affect their future at all. Whether the freshmen learn how to play a solid zone defense or operate an effective pick-and-roll against the conference’s best players very well might.